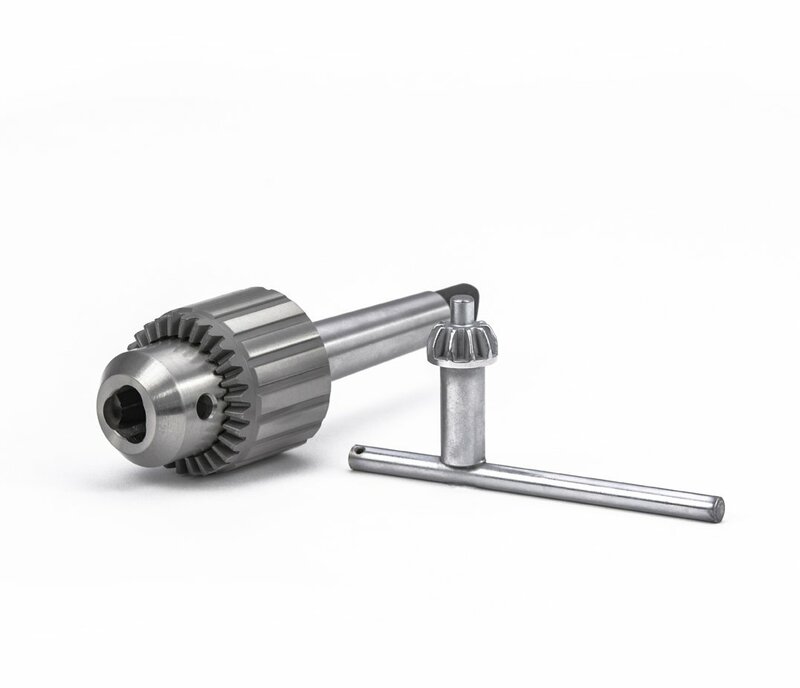 Perfect drill chuck accessory for NOVA lathes, or any lathe or drill press with a 2MT spindle. It can hold 1/16″ / 1.58mm to 1/2″/12.7mm. Perfect drill chuck accessory for NOVA Lathes (or any lathe or any drill press with a 2MT spindle). It can hold 1/16″/1.58mm through to 1/2″/12.7mm. Can be used for grabbing small turning or pen mandrels on the headstock of your NOVA lathe. Use with a drill bit in the tailstock of your NOVA lathe. Use with NOVA Voyager DVR Drill Press or other drill presses.